If a genetic line makes you choose between quality and quantity, the choice is clear: Choose another line. But not just any line. The Hypor Libra* (pronounced Libra Star) gives you both in merging the best genetics from Canada, France and Spain to enhance carcass quality. 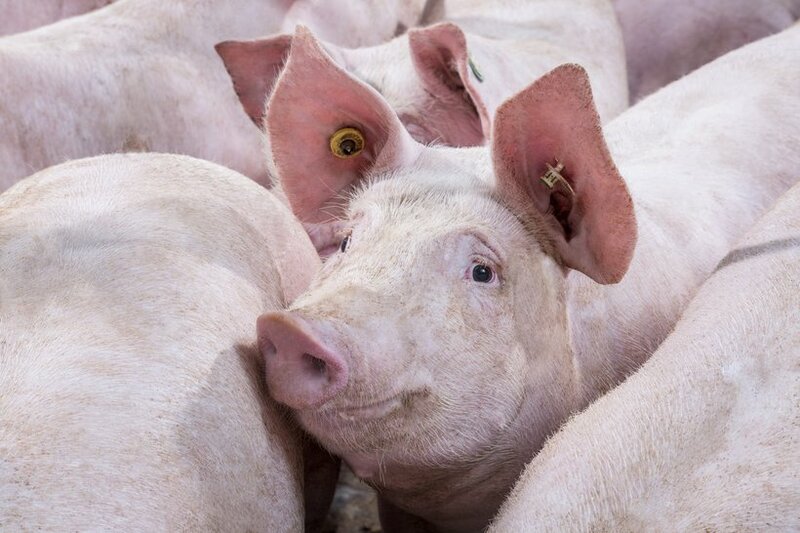 The result is the world’s most prolificient sow that offers some powerful combinations: prolificacy and efficiency; quality and quantity; profit and…more profit. Quality isn’t everything, but without it, nothing else matters. And achieving the best quality carcass starts with using the best genetics. Hypor geneticists decreased the amount of back fat and increased the overall meat percentage by selecting the best animals for the next generation. Of course, carcass quality encompasses many factors, including level of muscle depth, loin eye area, back fat, carcass weight and overall meat percentage of the finisher. Targeting them all while achieving Total System Profitability is no small feat; then again, the Hypor Libra* is no ordinary sow. For our clients, meeting market demands is crucial, so when the market speaks, we listen. Right now, those demands are for animals that are leaner at heavier weights. Fortunately, that’s what the Hypor Libra* is all about, and leaner pigs will produce more quality meat for the market at a heavier weight. With certain meat packers in the United States offering premiums for meeting quality standards, some Hypor customers are pocketing an extra $2 (1.70 euro) per finisher for carcass quality. Clearly then, a lean animal can be the key to fattening your bottom line. As well, because the Hypor Libra* is lean, she is more versatile and can be bred with a variety of boars to meet individual market demands. Whether your client is asking for more or less fat coverage at a defined weight, the Hypor Libra* has the answer. The great thing about maximizing carcass quality is that it benefits your business in so many ways. As a result of having a high lean meat percentage, the Hypor Libra* produces finishers with an improved feed efficiency. With feed costs accounting for 60-70 per cent of the total cost of production, that’s an improvement that’s easy to swallow. While lean animals use most of their energy from feed for growth, over-conditioned animals store much of their energy as fat, making them more expensive to feed. 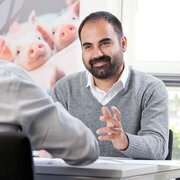 Given the huge impact of feed costs on your operation, Hypor employs over 300 feeding stations worldwide to collect the daily weight gains and feed intake of individual pigs. This helps geneticists to select the pigs that maintain a good feed efficiency and leanness at weights up to 140 kilograms and over (over 310 pounds). In the highly competitive pork industry, you need every edge you can get. That means insisting on a genetic line that is cost effective and meets global demand for a quality end product. By giving you an edge in feed conversion and carcass quality, the Hypor Libra* sets you apart. For Hypor, that’s what Total System Profitability is all about.